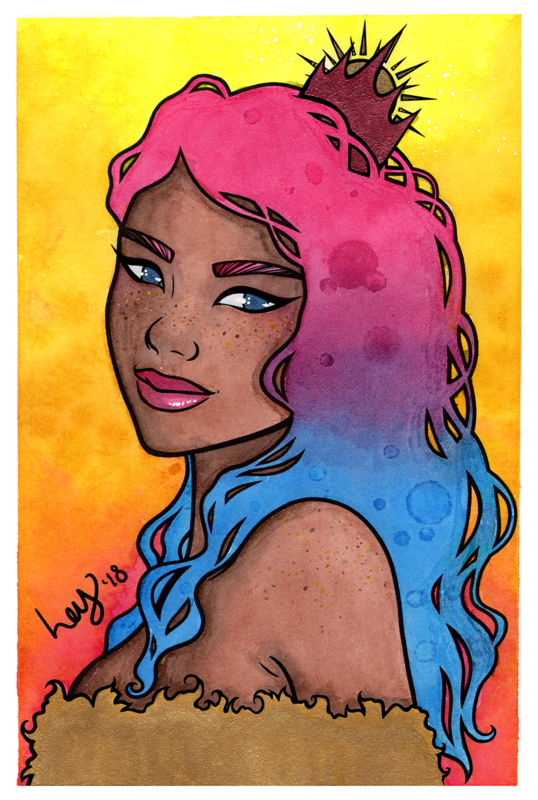 Watercolor illustration of my summer-inspired queen, inspired by freckles, the sun itself, and one of the best parts of summer — Pride! Created for my one year anniversary on YouTube video, I may repaint this piece in the future due to some weird textural issues with the Arches hot press paper. Arches hot press watercolour paper 140lb.